RaceFace releases new NextR wheels and handlebar. 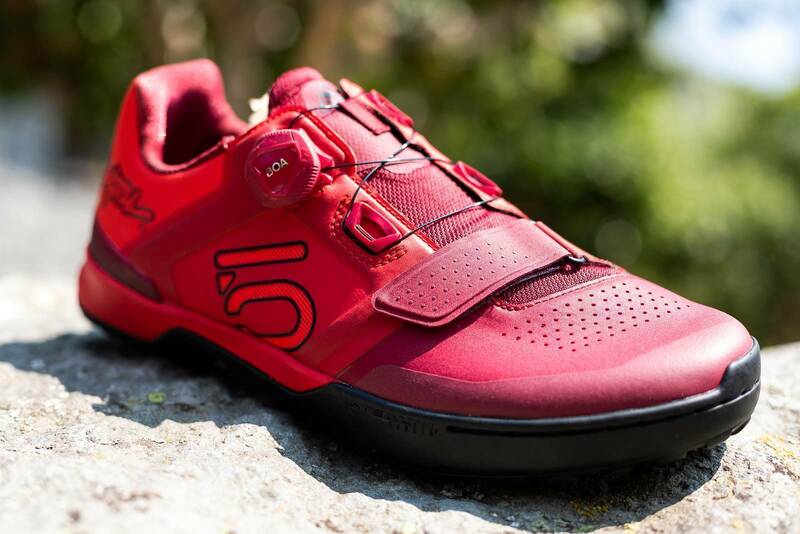 FiveTen have just released their collaboration with Troy Lee Designs, in the form of a clipless and flat-pedal shoe. To start off, their super-light new clipless shoe features FiveTen’s C4 rubber sole, which is their super-firm rockclimbing rubber, and helps transmit power into your pedal strokes without the rubber deforming. A new footwell is deep enough for Shimano cleats, and comes with a shim for Crankbrothers. The mid-sole features EVA foam, allowing the shoe to absorb some of the impact, and allowing it to walk properly. The upper shoe is full synthetic, superfast drying with an ultra-breathable tongue and micro perforations along the front of the shoe, allowing it to breath. A Velcro closure on the forefoot, as well as the BOA system as the main. The heel of the shoe has a tension too, allowing your foot to slide in but not out, which is a great system to retain tension in the heel of your foot. FiveTen’s new Impact Pro also features a TroyLeeDesigns collaboration, with plenty of toe and forefoot protection. The toe-box of the shoe is lined with impact-resistant foam, meaning if you were to ram your toe into the front of the shoe, your toes hit a padded wall. EVA foam on the mid-sole absorbs impact, with S1 rubber that has a graded sole, allowing the rubber to re-form according to the size of the shoe. Oakley shows us their recently released Flightjacket and Fieldjacket glasses, aimed toward the sport performance/cycling community. Advancer technology pushes nose pad away to allow for defogging, which pushes the glasses away from your face to allow for extra airflow. Oakley also releases a new Prizm Low-light lens, perfect for winter days deep in a forest. 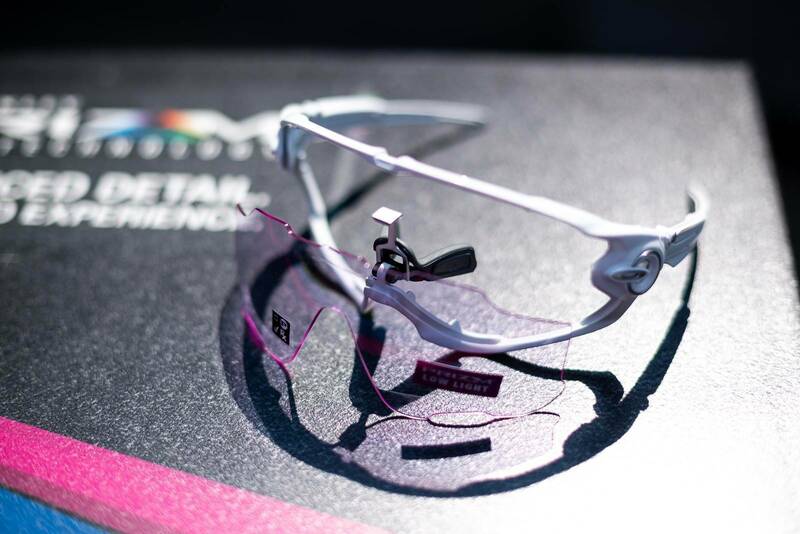 You’ll still get the Prizm technology with enhanced colours and clarity. Yakima attended the tech expo at Whistler Village to release their new hang-over rack, which is available in a 4 or 6 bike version. The hang-over style is a super efficient use of space with how the bikes hang vertically, as opposed to horizontally. To start off, the rack features a kick-to-tilt lever with 3 different positions, allowing for ease of access to the rear of the vehicle. When hanging the bike, a hook grips onto your fork crown, and a rubber strap then locks it into place. The rear wheel of the bike is then strapped in to the bottom of the rack with a ratchet strap. 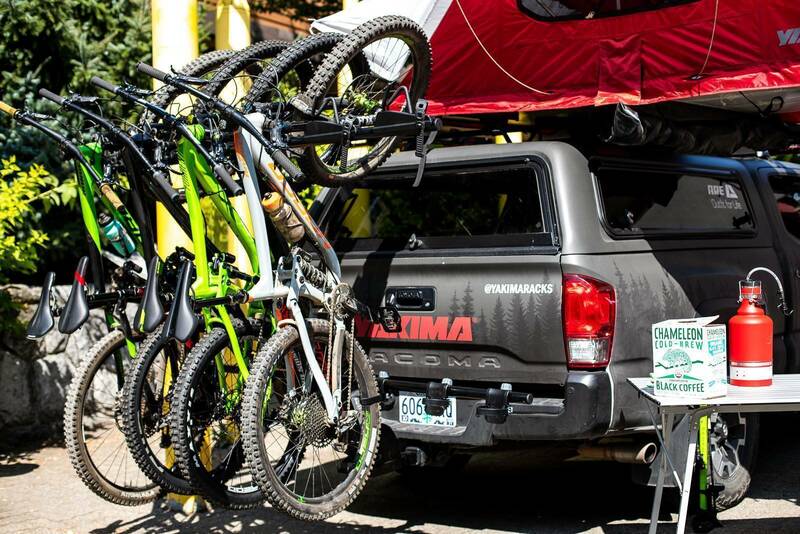 Depending on the hitch height, the Yakima hang-over has adjustable settings so as to avoid the bikes hitting the road while driving along. This adjustable height also allows you to easily load up a bike without having to lift the bike up too high. We're told this rack won't be available in Australia until early to mid next year. 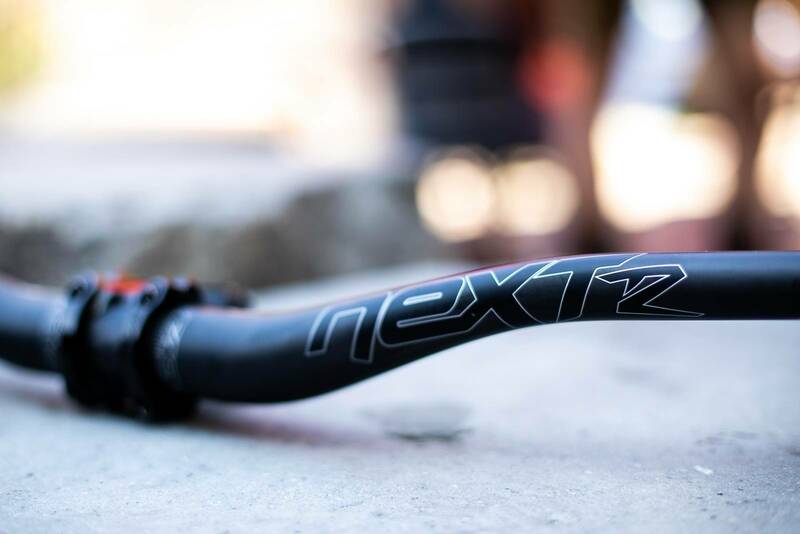 RaceFace release a new NextR wheelset and handlebar, which are ultra-light, ultra-durable carbon composited options. To start off, the new Raceface NextR 36 wheelset features a Raceface Vault hub, which are a high-engagement 120 point hub. The 36 stands for 36mm internal, which are good for tyres that are up to 2.8” wide tyres. The wheels are now available in 27.5 and 29, and come tubeless-ready with valves pre-installed. Next up is the NextR handlebar, which is a 35mm clamp, 800mm wide handlebar available in all the bright, vibrant colours that Raceface are so well known for. The handlebar is available now in 20 and 35mm rise, and weighs an astonishing 210 grams, rated for enduro/aggressive all-mountain riding.